Last weekend I held a stamp a stack class. This is a class where we make 3 cards each of 4 designs. 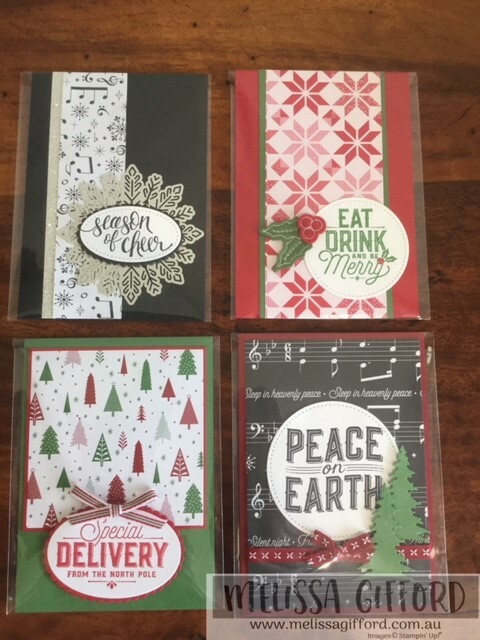 We made a stash of Christmas cards using all the gorgeous new papers and embellishments. These cards are kept on the simple side to allow us time to make 12 cards. To house all the cards we decorated a clear case with papers and a stamped image. These boxes are fantastic to have on hand. I seem to have them all over the house storing all sorts of bits and pieces! These are great in the craft room for embellishments. dimensionals and adhesives. The clear cases missed being added to the annual catalogue this year but they are still available in 3 sizes. The Merry music paper is cut at 11 1/4 x 7 inches. Simply slide into the plastic out sleeve of the case and close the box. No scoring required! 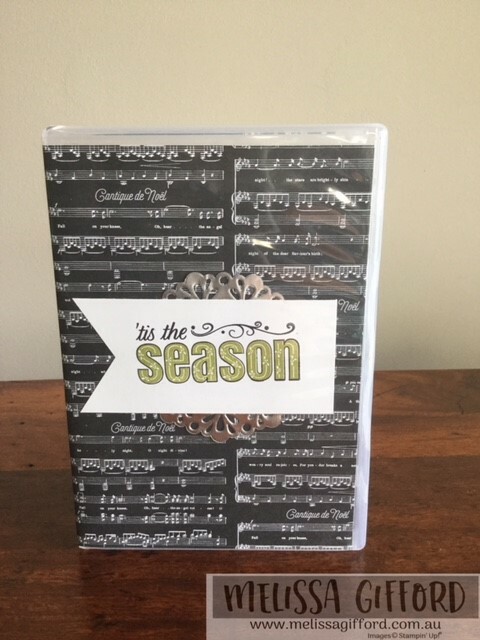 We stamped the 'Tis the Season' stamp and adhered this to the inside of the case. And as always there was a little chocolate treat for everyone. 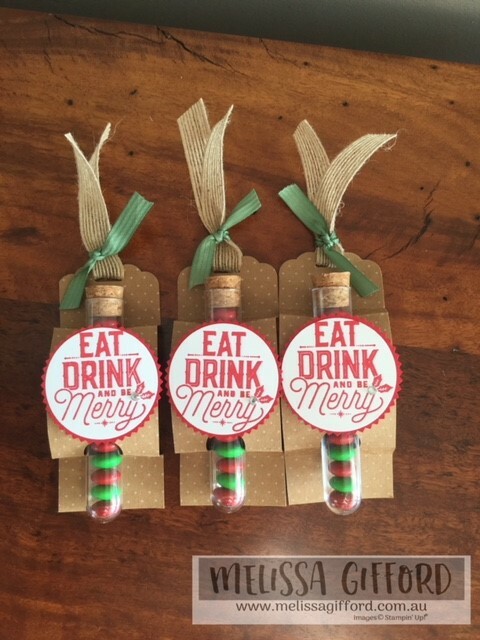 I have used retired cardstock here, I wanted to use the foil frenzy paper but I discovered I only had the orange pieces left of my pack and they didn't match the red and green m&ms! Arent the treat tubes adorable! ?